This project focuses on a community-based model for providing middle and high school students who live in low-income public housing in the High Point neighborhood in Seattle, WA with opportunities to learn about STEM higher education and STEM careers and to develop interests, identities, and skills to pursue workforce opportunities in STEM. The University of Washington 3DL Partnership together with UW Undergraduate Academic Affairs’ Dream Project (which focuses on mentoring for college readiness and post-secondary success) is partnering with Neighborhood House (NH). NH is a comprehensive community-based organization (CBO) that has been serving Seattle and King County’s low-income, immigrant and refugee communities since 1906. We focus our efforts on underrepresented minority youth to contribute to a more diversified STEM workforce. We locate our efforts at NH because of its comprehensive programming model and its wrap-around services for local residents. Informal learning opportunities based in CBOs like NH can help to connect youths’ science interests with their family and cultural communities, thereby producing support and capacity within the local context for STEM learning and workforce development. This project builds on robust, existing programs within NH to: (1) increase NH students’ knowledge about STEM higher education and STEM careers; (2) increase NH students’ interest and motivation in STEM; and (3) increase NH students’ identification with STEM as a set of practices that they know about, use, and influence. 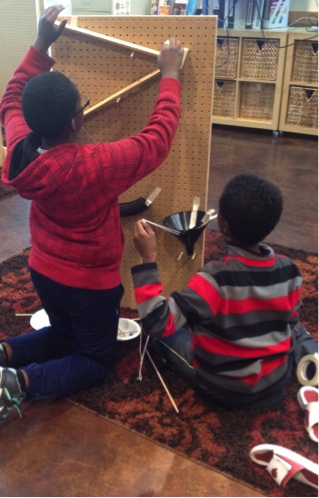 We will impact approximately 125 youth through intensive programming that spans a full year. Intensive programming emphasizes: (1) mentoring for college readiness in STEM and understanding STEM occupational choices; (2) creating a Tinkering Studio for students to explore and develop STEM interests and identities; (3) expanding students’ opportunities to learn about the role people of color have played in STEM and envisioning opportunities for their own participation in STEM; and (4) offering STEM job shadowing and career readiness. 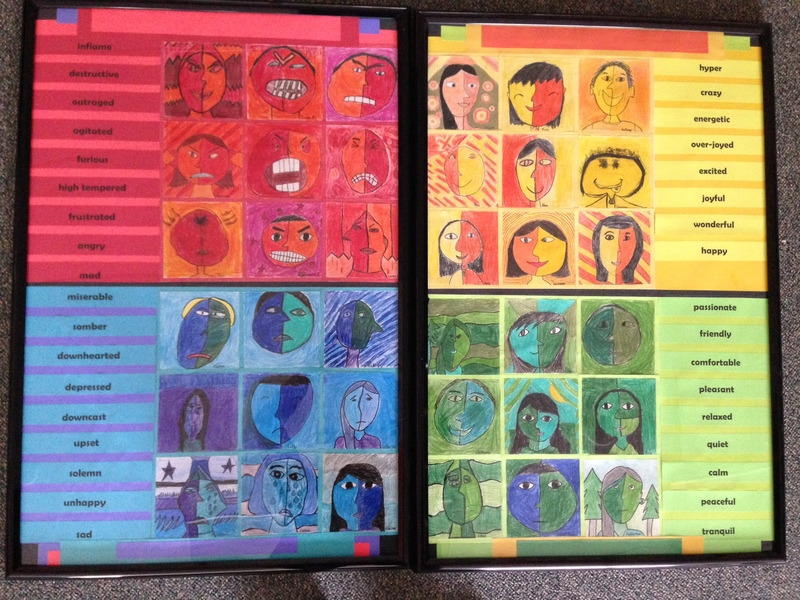 In 2013-2014, the Bellevue School District (BSD) implemented a universal social emotional learning program, the RULER Approach, in each of its elementary schools. The RULER Approach, developed by researchers at the Yale Center for Emotional Intelligence, explicitly teaches skills that help individuals to recognize, understand, label, express, and regulate emotions. 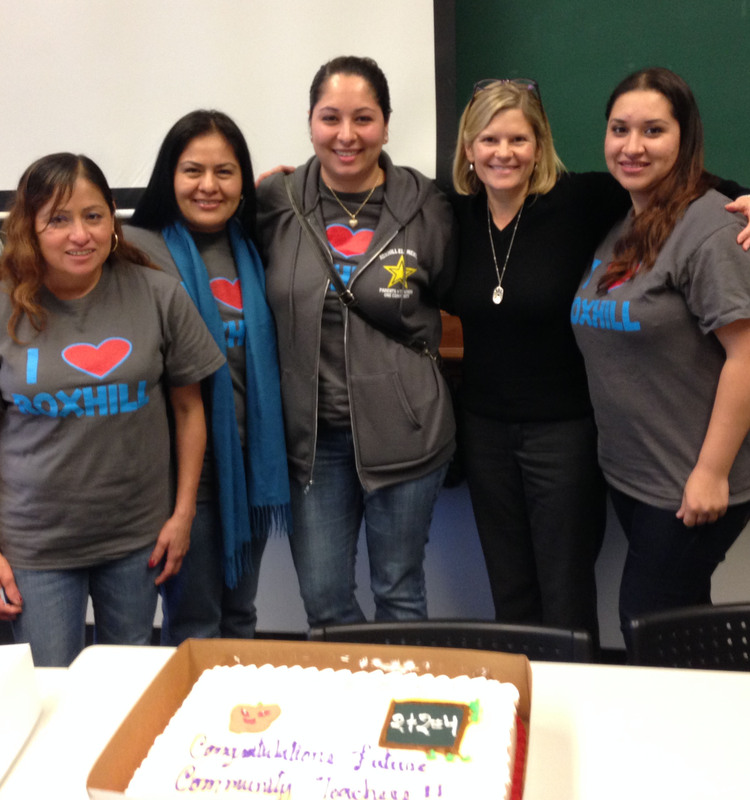 The RULER Approach has been recognized as a CASEL SELect program by the Collaborative for Academic, Social, and Emotional Learning. 3DL staff have been partnering with district leaders to support the high quality implementation of RULER and to assess SEL needs at the middle school level. Activities include: implementation planning, process assessment, and measurement and evaluation support. Work has also begun to examine the integration of social emotional learning with classroom behavioral supports to address the needs of children from trauma backgrounds. Work on these issues is linked to many years of research by 3DL Co-Director Todd Herrenkohl on child maltreatment and other Adverse Childhood Experiences (ACEs). Recent publications on ACEs are provided under the Publications tab. As part of a larger collaboration between the UW College of Education and Roxhill Elementary School, and with funding from the Sate of Washington Office of the Superintendent of Public Instruction, 3DL partners are helping to support the implementation of a Full Service Community Schools (FSCS) framework in a highly diverse West Seattle elementary school. The FSCS model embraces a holistic model of learning that revolves around student success, broadly defined. FSC schools provide a range of services to children and families in partnership with community based organizations (CBO) and serve as a hub for all sorts of activities and services, including health/mental health, after-school recreational, and family support. The basic logic of the model is that for kids to do well academically their basic needs of health and nutrition, mental health, and safety need to be met and continually supported. The model also emphasizes the integration of social-emotional and academic learning such that students are exposed to holistic models of classroom instruction that provide them with a broad skill base, which research has shown to predict much later gains in educational achievement and successes in other life domains. Further details of this project are provided under the Community tab. 3DL partners are working with the City of Seattle to develop and implement an innovative developmental evaluation (DE) framework to support a community-based youth violence prevention system in Seattle, Washington called the Seattle Youth Violence Prevention Initiative (SYVPI). SYVPI began in 2009 in response to several high profile homicides in the city and now serves approximately 1,500 youth between the ages of 12 and 17 city-wide. 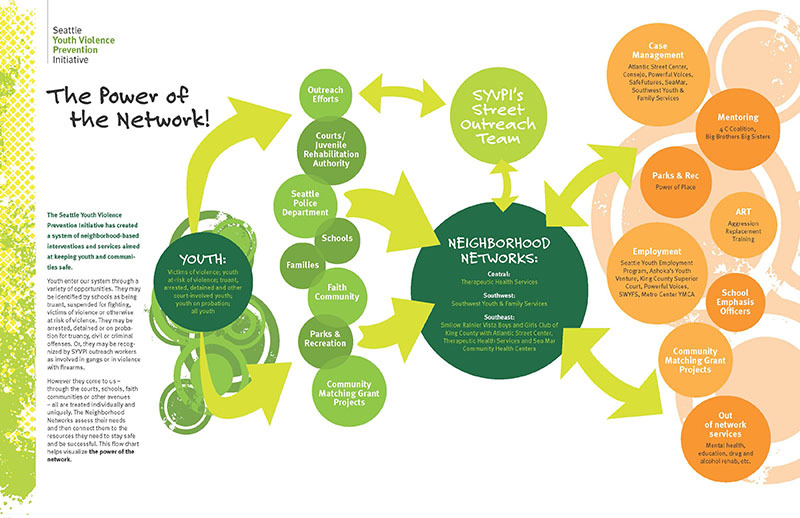 SYVPI is a model of cross-sector collaboration in which three neighborhood networks in the central, southeast and southwest sections of Seattle coordinate efforts to keep vulnerable youth connected to school, provide them with opportunities for skills training and employment, and link them to appropriate social services. The evaluation framework in use prioritizes service quality by building capacity within the system for continuous quality improvement and data-driven decision-making.